Once again, World Fantasy Award–winning editors Ellen Datlow and Terri Windling prove that fairy tales don’t have to be for little children and that happily ever after doesn’t necessarily mean forever. 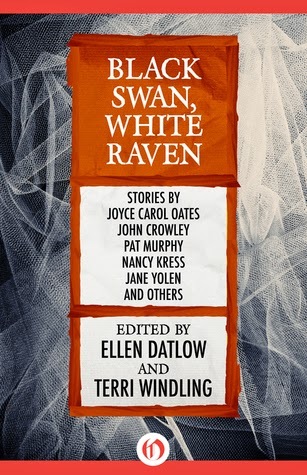 Black Swan, White Raven is Datlow and Windling’s fourth collection of once-familiar and much-beloved bedtime stories reimagined by some of the finest fantasists currently plying their literary trade—acclaimed writers like Jane Yolen, John Crowley, Michael Cadnum, and Joyce Carol Oates, who give new lives and new meanings to the plights of Sleeping Beauty, Snow White, Rapunzel, and more. Dark fairy tales are definitely one of my things, so I knew I had to read this fourth in a series of dark fairy tale anthologies (Snow White, Blood Red) edited by Ellen Datlow. This particular ebook is a re-issue of the original 1997 release from Open Road Media, which I'm a huge fan of. Anyway, in every anthology there are stories that you love and stories that fell short. Overall, however, I was quite impressed with the quality of writing found in the anthology. 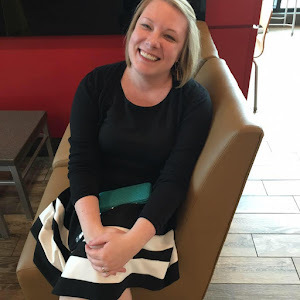 I found quite a few authors whose books I'll be adding to my TBR list. As with writing quality, this varied from piece to piece. I loved "Snow in Dirt", "No Bigger Than My Thumb", "Sparks", and "On Lickerish Hill." Towards the end, I went through several in a row that really just did not resonate with me, and that slowed me down from what was otherwise a quickly devoured book. I'll definitely be checking out the other titles in the series. If you're a fan of fairy tales reinterpretations, particularly those with a dark twist, this is a collection you should certainly look into. I think readers who have enjoyed recent YA reinterpretations like the Sisters Red series and Cruel Beauty will like this as well as fans of the short story genre who also appreciate a bit of fantasy.